We are proud to be part of the community in Auburn. Our oil change location in Auburn looks forward to serving you, as our friends and neighbors, each and every day. Along with our oil changes, we also provide all of the automotive maintenance services your car needs to keep running at peak performance. So don't forget to grab our oil change coupons before you come in to see us for extra savings. The City of Auburn is home to Auburn University, which brings to Auburn all of the educational and cultural opportunities associated with a world class university, as well as a youthful presence and major sporting events of interest to national audiences. The City of Auburn has been marked in recent years by rapid growth, and is currently the fastest growing metropolitan area in Alabama and the nineteenth-fastest growing metro area in the United States since 1990. 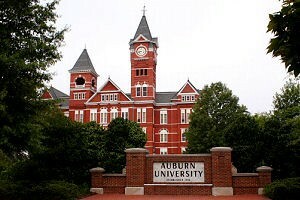 U.S. News ranked Auburn among its top ten list of best places to live in United States for the year 2009. The City of Auburn has been able to maintain a small town charm and identity of “the loveliest village on the plains” while undergoing the growth that is inevitable in a city with Auburn’s reputation, outstanding public schools and varied community offerings.